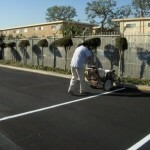 Maintaining the parking lot striping in your lot will greatly improve the overall appearance of your facility. 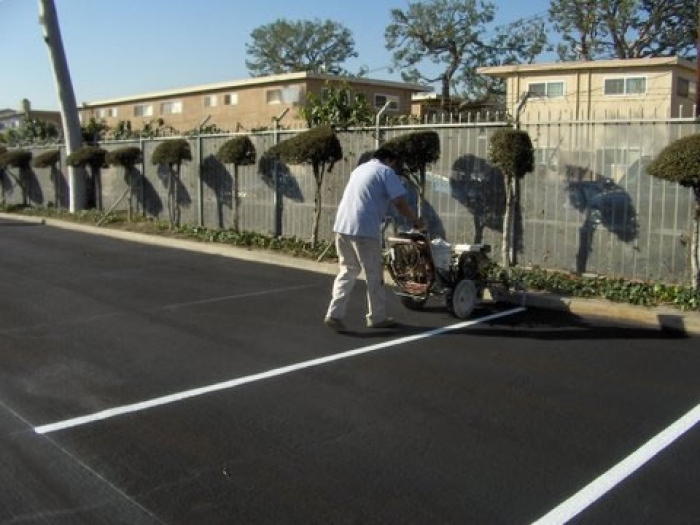 Many property and facility managers will use parking lot striping for a quick, powerful, and affordable means to invigorate the appearance of their properties. 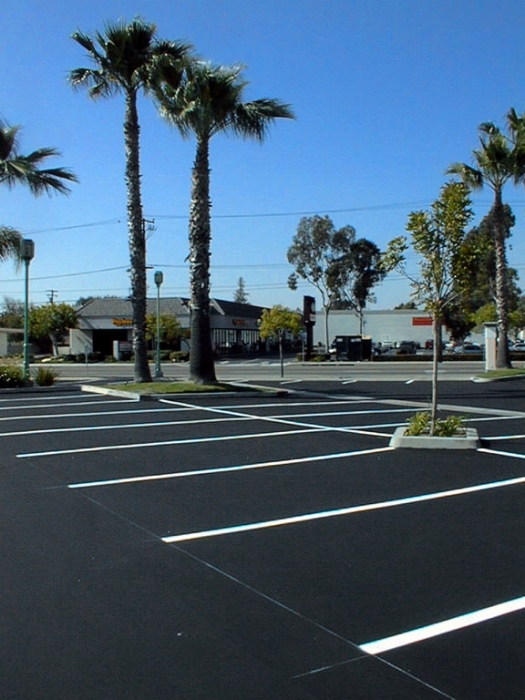 Parking lots that are properly laid-out and painted will create a sense of safety and organization for vehicular and pedestrian traffic. 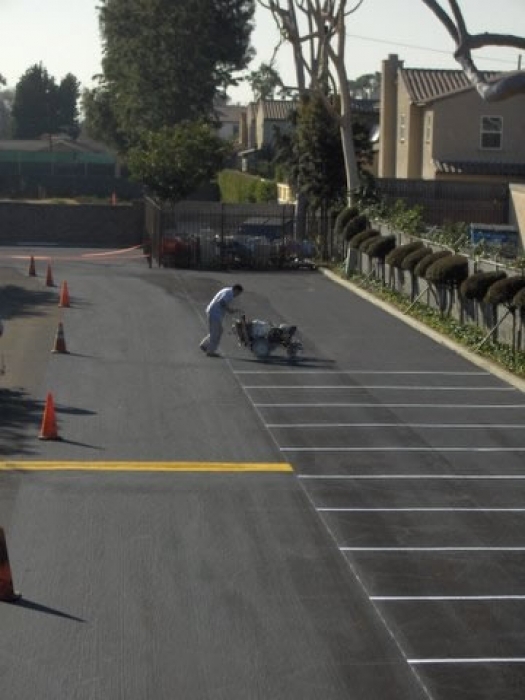 Whether your parking lot painting project is maintenance or new construction, Trueline Striping is capable of completing the job with quality and efficiency at a reasonable price. 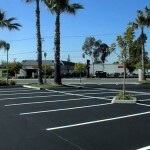 There are several options when it comes to parking lot striping layouts and styles. Trueline can help you decide things such as: Do I want single lines? or Double lines? 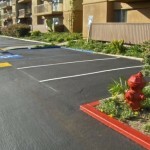 Or Do I want straight end design or the popular round end design for the parking line? We can help with the design of your stalls or follow a set of well drawn blueprints. It’s entirely up to you. 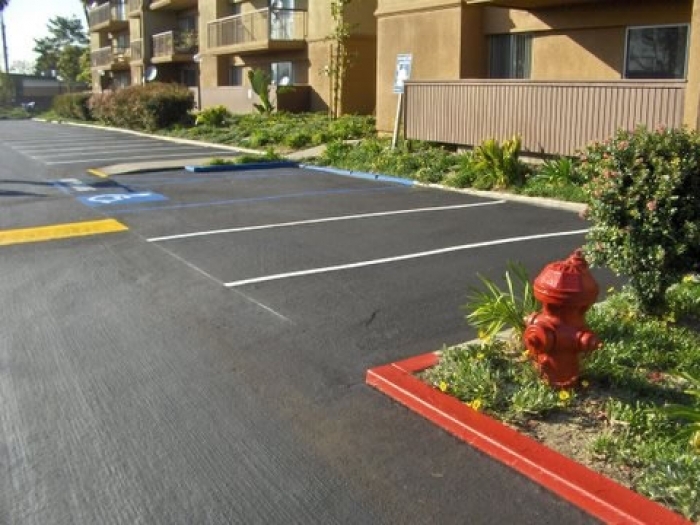 Its best to consult your city planner before you make any design decision that can affect your parking lot users. We offer link to many local municipalities here. T-stall / Also known as boxed stalls. This type of layout scenario is typically used in an alley or up against a fence or block wall. The layout of allows a property owner to take advantage of areas where parking typically doesn’t occur. 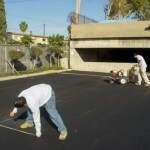 An example would be a building owner laying out parking along a wall where a driveway is. In order to maintain traffic flow he can’t place a traditional parking space however; he can use t-stalls. 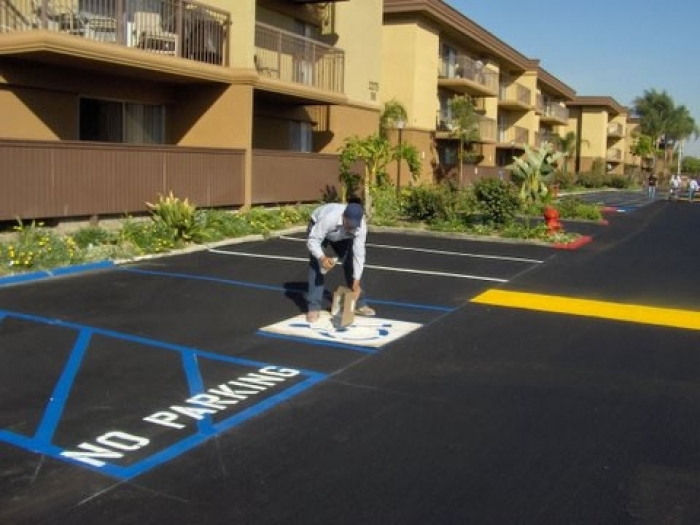 This basically means striping the corners of single spaces parallel to the wall marked only by the two corners of the cars outer edge with a T.
Tandem parking / This type of parking lot striping layout refers to designing parking so that instead of parking one car in a space you can park two or even three depending on the layout space available to you. The Vehicles are typically parked head in and the two cars are bumper to bumper. This only works in a situation where the tenant of the parking space is designated and they have the ability to move the car when necessary. 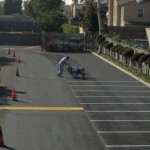 There are many different paint products to choose from based on the type of parking lot striping you need done. Trueline is very familiar with all of these products listed below, plus may others. 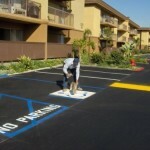 If you have a custom lot striping paint you would like us to use that’s not a problem either. If you contact us we can discuss your paint options to find a solution that’s right for you. When choosing the paint always consult with your salesmen or local paint rep for the best fit for your specific striping application. Thermoplastics / Thermoplastics is powder or block of polymer that turns to a liquid when heated and then turns to a glassy like paint finish when cooled. 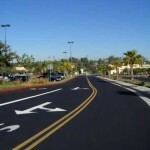 When you see striping on freeways and roadways more often than not that is thermoplastics. 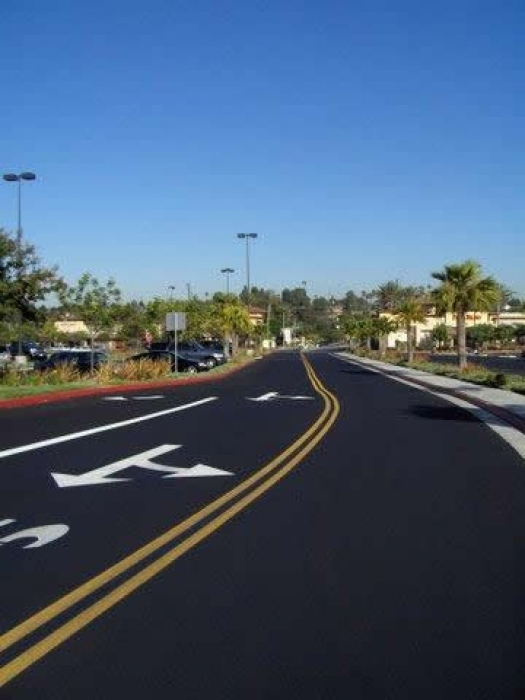 Thermoplastic striping has a large profile making it a bad choice for parking lot striping but a great choice for drive ways and distribution terminals stencils such as stops and arrows. 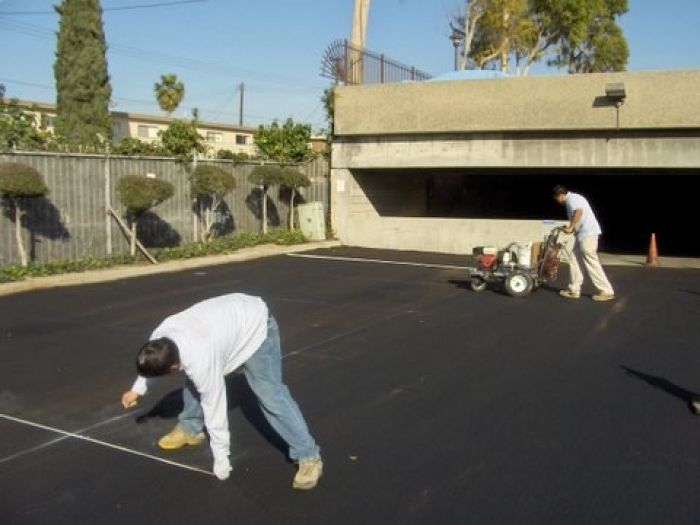 It holds up to the elements and traffic extremely well however, it’s costly and requires a time consuming installation process.